Cam: Aspherical femoral head tries to fit into a spherical socket. Can cause chondrolabral junction separation due to shearing force. Pincer: Over coverage of acetabulum socket, can cause labrum crushing and degeneration/ ossification. Mixed: Combination of cam and pincer deformities. 1. ​Kuhns BD, Weber AE, Levy DM, Wuerz TH. The Natural History of Femoroacetabular Impingement. Front Surg. 2015;2(November):1-7. doi:10.3389/fsurg.2015.00058. 2. ​Tannast M, Siebenrock KA, Anderson SE. 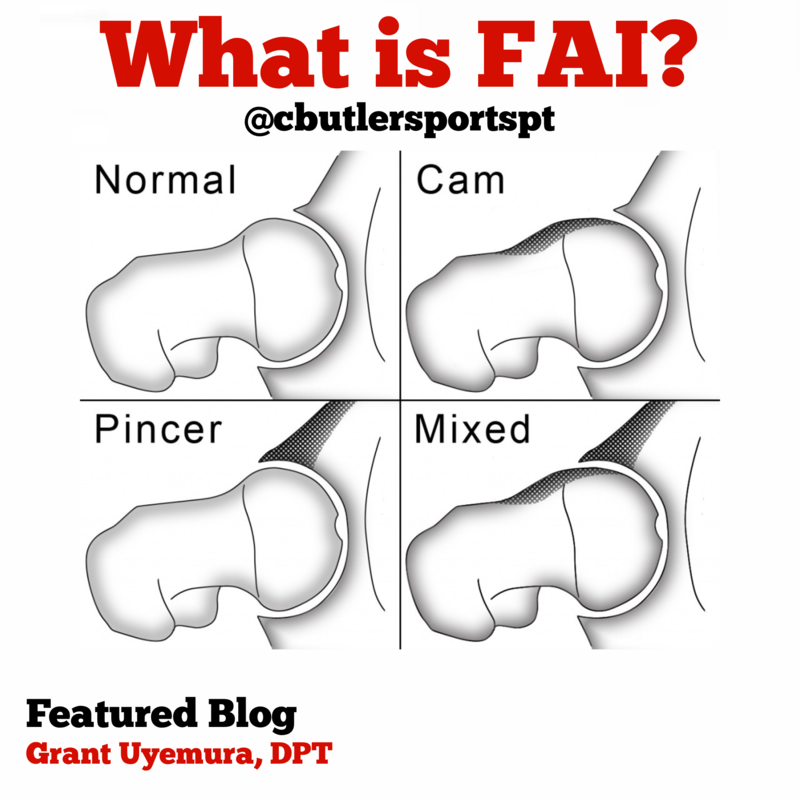 Femoroacetabular impingement: Radiographic diagnosis – What the radiologist should know. Am J Roentgenol. 2007;188(6):1540-1552. doi:10.2214/AJR.06.0921. 3. ​Stephanie Pun, MD, Deepak Kumar, PT, PhD, and Nancy E. Lane M. Femoroacetabular Impingement. Nih. 2016;67(1):17-27. doi:10.1002/art.38887.Femoroacetabular. 4. ​Enseki K, Harris-Hayes M, White DM, et al. Nonarthritic Hip Joint Pain. J Orthop Sport Phys Ther. 2014;44(6):A1-A32. doi:10.2519/jospt.2014.0302.